Marsicans are an emerging indie band from Leeds whose driving, harmony-laden sound is quickly gaining notoriety alongside their reputation for exciting live shows. The quartet's current line-up, three schoolmates and a friend from Leeds' music scene, started sampling old synths, distorting guitars and writing songs together in 2014. 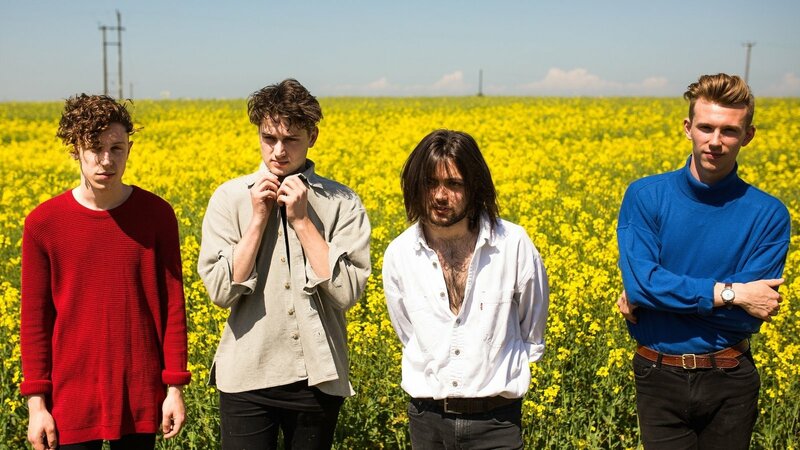 In the last 12 months, Marsicans have supported Minnesota's Hippo Campus on tour in the UK, sold out their own headline dates, played their first European shows and saw their debut performance at Glastonbury included in the BBC's festival highlights reel. After being showcased by BBC Introducing's Huw Stephens, Marsicans' latest single "Friends" was tipped by Coldplay on Twitter, leading to an unexpected spike of 30,000 Youtube views within a couple of hours! It's since received further support from Radio 1, 6Music and Radio X as well as featuring on 'Hot New Bands' and other influential Spotify playlists in the UK, Europe and Japan. Marsicans join Natives on a 17-date UK tour in May and June with further releases on LAB Records planned for 2017. Joy Room are a four piece rock band from London. They met at school and bonded over a mutual love for the Red Hot Chili Peppers and The Last Waltz. Their debut track 'Late at Night' received widespread support form the likes of Phil Taggart calling it "as good a debut track as you'll hear" and Huw Stephens at Radio 1 and BBC Introducing, added to the Radio X evening playlist and further support from Matt Wilkinson at Beats.